A MOTHER who sold drugs, broke into a home wielding a baseball bat and acted as decoy during two armed robberies blames bad romances for her lawless ways. Brisbane Supreme Court heard this week Ipswich woman Renee Rose-Claire Stothard was now done with men, off drugs and ready to focus on raising her children. But she will have to wait for that chance after being sentenced on Thursday to three-and-a-half years in jail for drug trafficking. 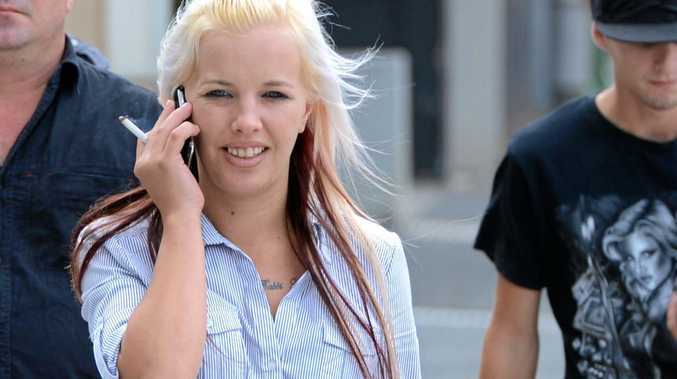 Stothard had already served time for her part in a violent Ipswich home invasion and was still on parole for the robbery-related offences when she started dealing drugs in March, 2014. At one stage she was selling methamphetamine on a daily basis. The court heard she had been living with her mother and asking clients to park down the street so as to not draw attention. When Stothard was arrested she was returned to jail to serve the remainder of her original six-year sentence, having violated her parole conditions. In court on Friday defence barrister Simone Bain said her client had a previously been in a "cycle of launching from one crisis to another crisis with men”, including the drug addicts she had agreed to commit her previous crimes with. She said her client, now free from drugs, was done with men and wished to "simply concentrate on being a mother”. Ms Bain also said it was a "harsh reality” for her client that all the so-called friends she kept company with when there were drugs around had abandoned her at the first sign of trouble. Justice Sue Brown said she was concerned Stothard planned to move back in with her mother who had not been able to prevent her daughter from offending before. Ms Bain replied the mother had made clear she was "there to give her support but not at the expense of the children”. Stothard must serve this sentence on top of her original sentence. She will be eligible to apply for parole on June 12 next year.